Serendipity City is a simplified but true representation of our process in the Eindhoven Canal Zone. Mo, Frans, Geert and others got the opportunity to realize their dreams and participate in the development of the entire area. Instead of one linear process, several individual lines start from their own energy. They evaluate fast, get together end up for good or temporary in nothing. From their energies, due to an open collaboration and with intelligence and a bit of coincidence we created the city. The project Serendipity City gives meaning to the (still) sly rhetoric of the Dutch participation society. In our opinion city development is primarily about ethics and secondary about aesthetics; urban values are meant to be human. We militate in favour of planning principles not just for physical solutions (designing infrastructure for the city), but further more for planning approaches that maintain and develop the existing city and contribute to a healthy social and cultural system (designing places for people). A guidebookfor city makers Based on a city laboratory, this case study evolved in to a guidebook for city and place makers in a changing society. Mo, Frans and Geert get the opportunity to make their dreams come true while at the same time they contribute to the total development of the Canal Zone in Eindhoven. The process: Ethics before aesthetics To make the dreams of our people come true, we should not start with data and science or with determining the task. To know is more than pure measurement. To know is explore and visualize together, who Mo, Frans, Geert and others exactly are and want to be. Realizing the dreams of Geert, Frans and Mo is not a building project but a learning process that begins with looking and listening. Our approach develops out of existing energies and we trust the natural flow that occurs. Attention, care, apprehension and trust are the key words towards a healthy city development (ethics) and simultaneously the first steps of the spatial design research (aesthetics). Find the unexpected treasures We investigate and visualize the essence until the shareholders recognize it. And then, almost spontaneously, a perspective for the future appears. Thanks to our talent to find unexpected treasures, in coincidence but with intelligence: serendipity. We do not work with fixed panoramas for the future, but we operate with flexible and interchangeable snapshots. Mo, Frans and Geert start to develop self-governing, but with back cover from professionals, making true ownership. Area development out of individual dreams Three individual dreams do not of course directly add up to an area development. In the process there arises a complex social network of people, events, developments and designers, each with their own dynamics, timelines and funding. It is the art of smart crossovers between several individual developments with their own dynamics to create an exponential value for the greater good. The ambition is realized by combining innovativeness, enterprise and creativity with the good humour, open-heartedness and cooperativeness of local people. Participation society as a surrogate The Serendipity City project adds substance to the so far rather vague rhetoric of the Dutch ‘participation society’. Urban development is no longer something that happens automatically, except where the established order can be certain of earning some money from it. 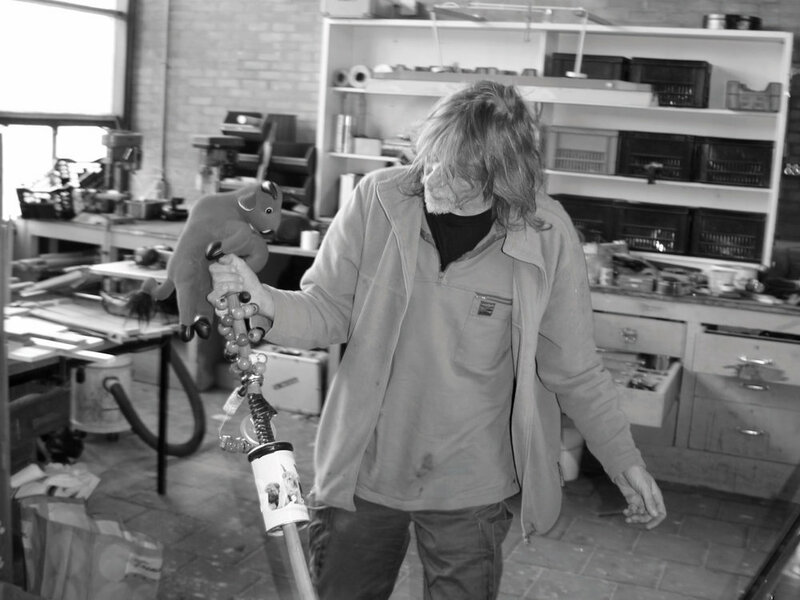 Elsewhere, such as on the ill-defined city periphery, on brownfield industrial sites and on post-war housing estates, the participation society acts as a surrogate for civically funded maintenance. Government is diminishing its role in these areas and casting the responsibility onto the shoulders of the like of Geert, Frans, Mo and millions of other Dutch citizens. The conditions in the field of urbanism are changing fundamentally. Alternative forms of urban development are needed. More transparent en humane than before. Without large amounts of public money. Demand-driven and collaborative and based on non-linear and multi-cycle processes. 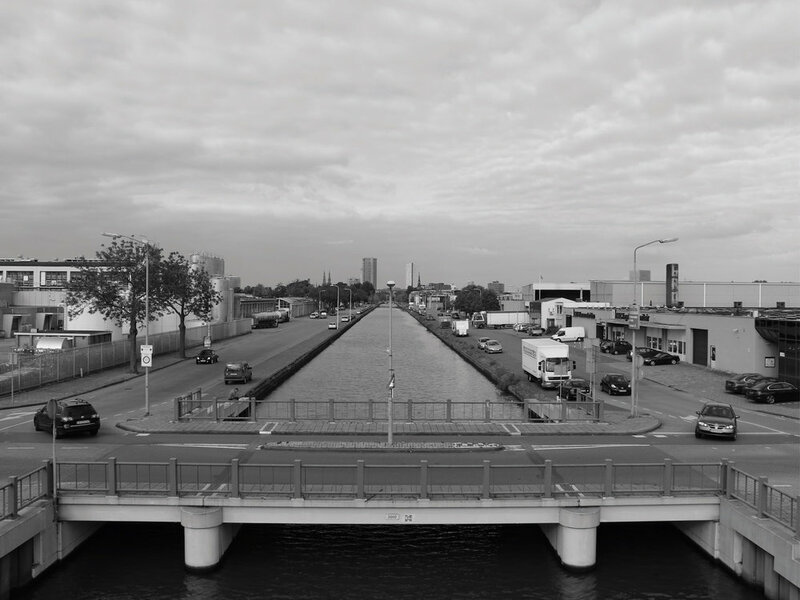 East vs. West By comparing the developments on the Westside of Eindhoven with the Eastside, the Canal Zone clarifies the changing conditions of spatial development. Both corridors are a collection of (inner) city developments connected by a route. Development that was similar in the germ but flourish in a completely different way. The origin of these spatial developments lies in the socio-economic development of Eindhoven, from industrial society to todays network society. Areas and plots undergo the process of urban renewal, being transformed to new urban functions. Former activities left relicts of their own identity. The Western Green Corridor The focus of urban development has mostly been on projects in the west of Eindhoven. Industrial buildings and green structures from the estate of Philips in uenced the Green Corridor and the spatial developments. A relatively rapid departure of the manufacturing industry in the early ‘90s, subjected to the de-industrialization, has created a series of large-scale construction fields. Integral control, supply-oriented development and accurate master plans made the Green Corridor an important axe in the city, completed by institutions and large developers. The Eastern Blue Corridor In contrast to the rather sudden transformation in the West, the East Corridor has a more gradual and unpredictable manner of development. Partly because of the flashy and popular west side but also because of the infrastructural development of the beltway, the Blue Corridor is located in the shadows of the city. Nevertheless, with the loss of the transport function of the canal in the ‘70s, a process of transformation started. Industry disappears or moves abroad or to other locations on the outskirts of the city. Plot-wise renewal suites better with the present urban activities of the location. We discovered potential jewels: cultural center Broeinest, ‘recycle-creative’ Tiersma and the Baltussen hidden garden. Because of these initiatives, the industrial area transforms into a mixed part of the city. We help to develop these initiatives and provide a perspective to create extra value out of numerous small and similar initiatives. The process leads to several manageable, small-scale possibilities with their own dynamics, coalition of actors and timelines. The question is what is needed to put the movement in motion and how extra value can be created by smart connections. A tactic arises. Actors can be brought together by paths to form a coalition and create exponential value. Mo and other small business owners are looking for a suitable and affordable place to work in the area. We bring them together. The departure of a large company brings new opportunities. The large halls are used for (temporary) affordable and adaptable workspaces, with the help of materials of the recycling center. The released wharf of Campina is converted in a hidden garden to provide cooling, an informal connection for pedestrians and a pleasant place to work. We discovered potential jewels: cultural center Broeinest, ‘recycle-creative’ Tiersma and the Baltussen hidden garden. Because of these initiatives, the industrial area transforms into a mixed part of the city. We help to develop these initiatives and provide a perspective to create extra value out of numerous small and similar initiatives. On released plots a small-scale, intimate and mixed living and working environment occurs: in freedom, self-sufficient living, in the seclusion of a courtyard and inspired by the old factories. The Canal Zone is supposed to be an ecological axe in the Dutch eco network, but is nowadays nothing more than a blue line in a concrete jungle. With their own knowledge and perseverance, several local shareholders under the direction of ecologist Frans try to create big effects with little effort. Wherever they can, they add a micro biotope: in the streets, on rooftops, in old boats on the water and in other seemingly useless leftover areas like on the slope of the ring road. Here vegetation and water forms a boundless eco network that truly boosts the flora and fauna within the city. This could be the future Blue Corridor when activated by Open City Innovation. A unique, mixed and healthy urban area with freedom harbour character. Where people work and live, where culture unfolds and with Campina as hotspot for starting entrepreneurs. In the same time it is a payable and sustainable area where supply and demand are close to each other, where development is made possible and with a do-it-yourself mentality. It is not a masterplan but a result of a process. Local people and their capacities are the basis for developments. This scheme is a tool for professionals and indicates the way every single individual project can use the Open City Innovation method. Open City Innovation invests time to really understand ‘what wants to happen’ at a certain place. The strategy: make people shareholders, build energy and offer an attractive perspective. After that, solutions are made possible by exploit local power, due collaboration or technological innovations and due smart crossovers. Open City Innovation is based on 'learning by doing'. During our experiment in the Eindhoven Canal Zone, a manual has been developed. The basis of this manual is a mindset for present-day city-makers, with particular attention to soft competences. Because urban development in our view, is primarily about ethics and secondary about aesthetics.